Keonjhar: In a bid to woo tribal voters, BJP national president Amit Shah on Friday promised land rights over forest land to tribals, MSP to all minor forest produces and a steel plant in Keonjhar district if BJP comes to power in Odisha. 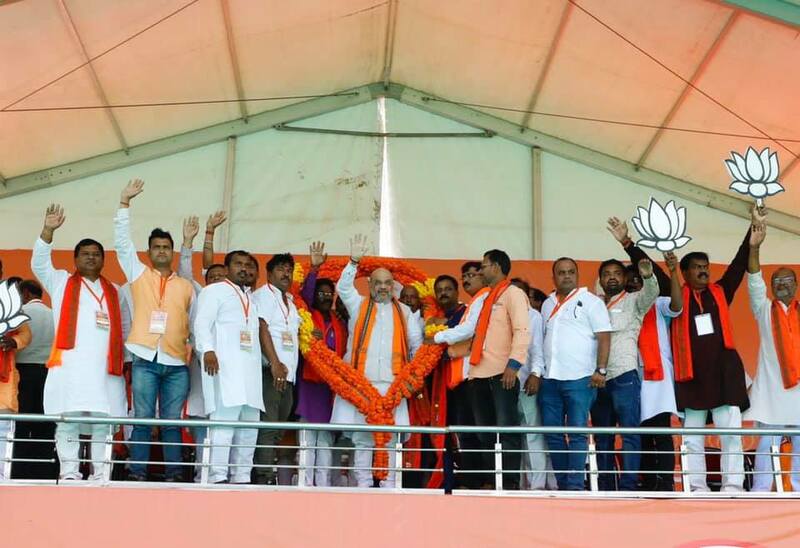 “If BJP voted to power, tribals will be provided land rights over forest land and MSP to all minor forest produces, besides setting up a steel plant and a medical college in Keonjhar district,” said Shah at a public rally at Medical Ground in the tribal-dominated district. He also targeted the BJD Government for not utilising District Mineral Foundation (DMF) fund for the holistic development of mineral rich Keonjhar. He also said that the party will send all those involved in mining and chit fund scams if the voted to power. Shah will also visit the State on April 17 when he addresses two rallies at Mahisapata in Dhanekanal district and Tennis Ground in Badamba in Cuttack district. 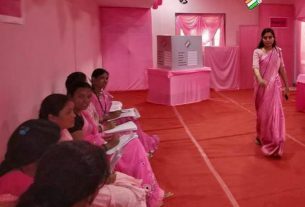 Voting in Keonjhar, Sambalpur and Cuttack Lok Sabha constituencies and the corresponding Assembly segments will be held in the third phase on April 23. 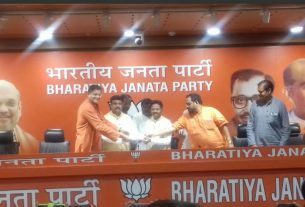 While party has fielded Anat Naik from Keonjhar parliamentary constituency, Nitesh Ganga Deb and Prakash Mishra will contest from Sambalpur and Cuttack PCs, respectively.